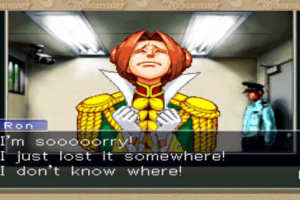 Capcom's Phoenix Wright: Ace Attorney series on DS has become a popular staple of the system over the past few years, combining a novel-style courtroom presentation with many of the unique gameplay functions of the DS system itself. 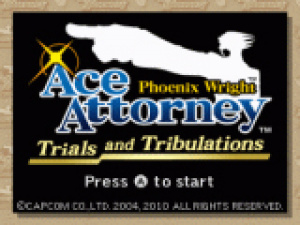 The end product has been a very engaging gaming experience that allows players to feel like a part of an actual criminal trial process from start to..
Phoenix Wright is back as the third game in the popular Ace Attorney hand-held franchise comes to the WiiWare service. 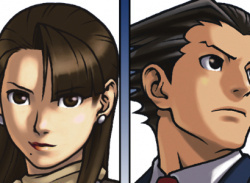 As Phoenix Wright, you'll play through five shocking new cases in first-person perspective. The game features two unique modes of play. In Investigations Mode you'll survey crime scenes, interview witnesses and gather evidence. You'll then present findings, listen to testimonials and examine witnesses in Court Mode. 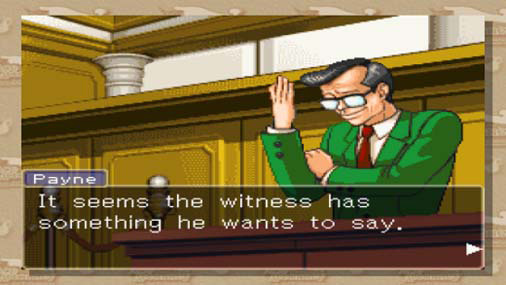 TRIALS AND TRIBULATIONS also includes the "Psyche-Lock" feature that allows Phoenix to use a line of questioning to reveal inconsistencies in witness testimony. I have this game for DS, and it's awesome. The last case can get pretty confusing though. This is the one I played on the DS. Fantastic! Never played it on the DS, so I cant wait to download this game. 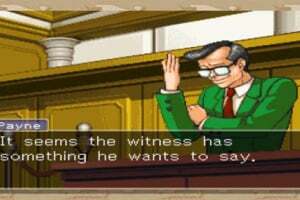 I'm really playing catch-up now with the Phoenix Wright series over the last two weeks. I'm glad I finally started playing it. Completed the two already released on WiiWare, have Miles Edgeworth coming in the post and I just bidded on the DS version of Trials & Tribulations. Would have been nice to have all the Phoenix Wright games lined up on my Wii channels though. EDIT: I won. The total was 25% less than I would have paid for the WiiWare version too, so not bad. 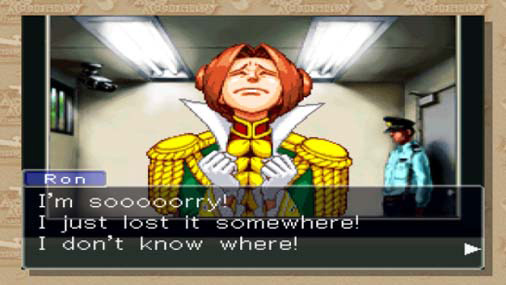 I stopped half way through to play and complete Edgeworth then I returned to T&T. I beat it last night. This game had better not be given another 5/10. Well it looks like it is getting another 5/10....but thats the release date! Haha oh Im so funny. Awesome!! Releasing May 10, 2010 in North America. Soon after is the fifth case DLC for first game. "In my world, the color red doesn't exist." I really liked Godot by the end of the game. I thought he was a jerk at first as everyone was supposed to think. But they really made his character one of the best and most memorable ones of the series. I felt tears in my eyes for Godot right at the end as he gave his speech.